COOTER’S TO HOST GOOD OL’ BOYS FEST AT THE SHENANDOAH SPEEDWAY | 2911 Enterprises, Inc.
Tickets go on sale Friday, April 5, at www.goodolboysfest.com with a limited number of tickets priced at $35 for the weekend. Once the limited quantity of advance tickets are sold, ticket pricing will increase. Tickets will also be available at all Cooter’s Place locations (Gatlinburg & Nashville, Tennessee and Luray, Virginia). 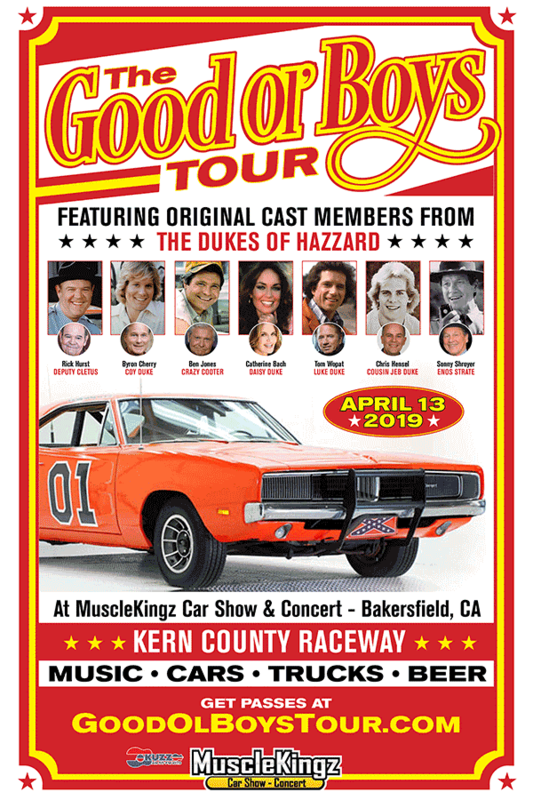 The Good Ol’ Boys Fest will feature cars and stars of the Dukes, plus a special lineup of country music stars and special guests. 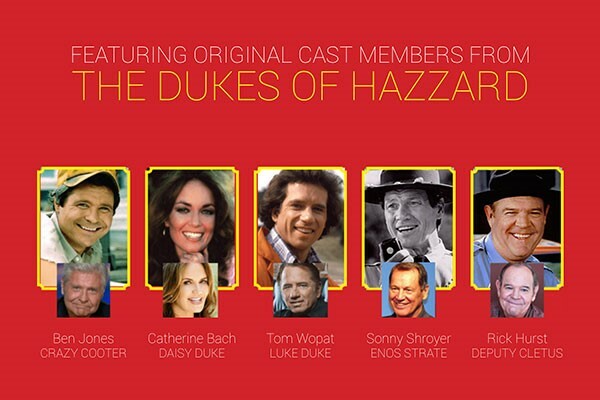 Among the Dukes cast who will be appearing are Tom Wopat (Luke Duke), Catherine Bach (Daisy Duke), Ben Jones (Cooter), Sonny Shroyer (Deputy Enos) and Rick Hurst (Deputy Cletus).